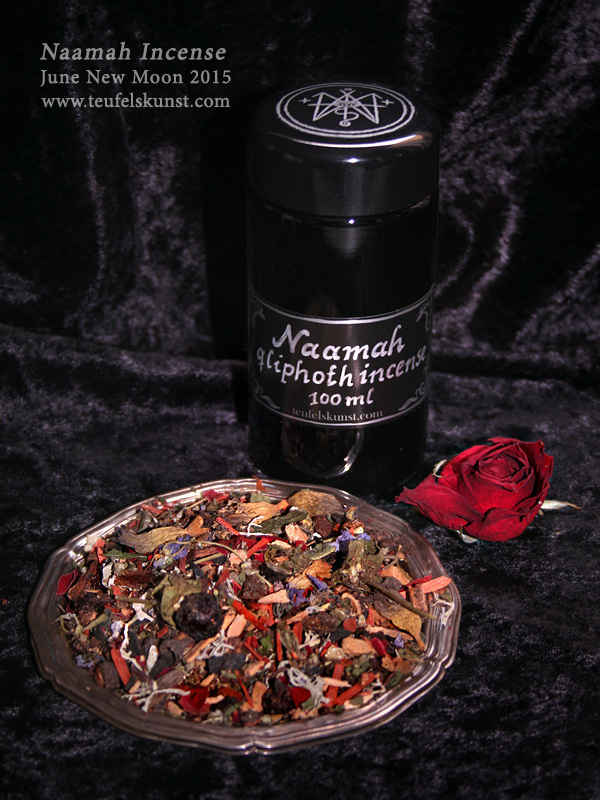 One of the commissions I’ve been working on lately and now going into the official Teufelskunst program: the first qliphothic incense blend, an offering to the dark goddess Naamah. Naamah here refers to a demonic entity, sometimes also called the “younger Lilith”. She rules over the lowest sphere on the adverse or reverse tree. Her name is commonly translated as “pleasant one”. Naamah belongs to the sitra ahra, the “other side”. Her sphere is called Nahemoth and of all the adversarial or dark gods she is closest to the created world. Nahemoth is thus sometimes portrayed as a sphere permeated by dead tree-roots entangling with the roots of Malkuth of the tree of life: where the roots of the one tree end the other tree begins. Naamah is therefore associated with the element earth or “black earth”. Her womb is the gate through which the various inclinations of the other side manifest inside the created world. Her beauty is a mask, behind which are hidden darker intentions. 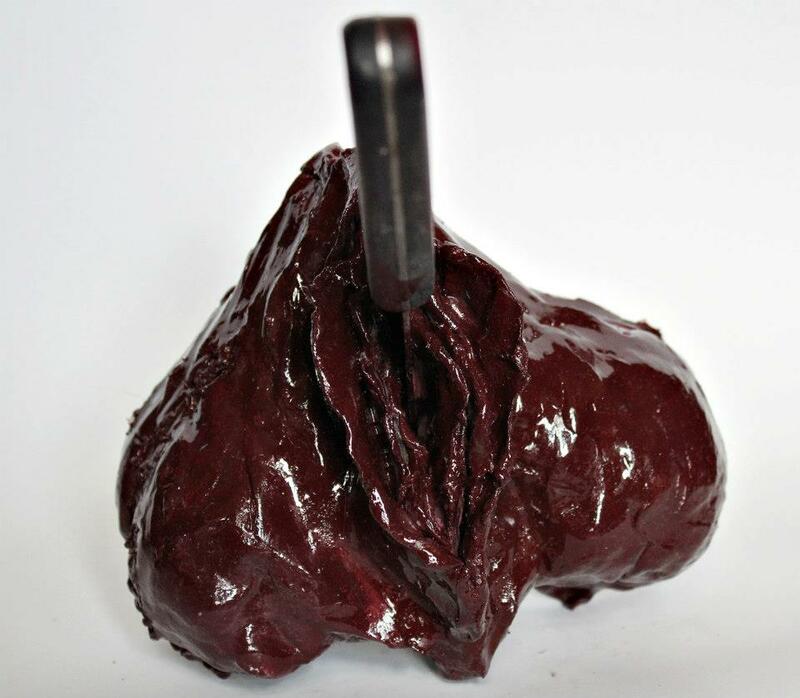 She is sometimes also compared to the Whore of Babalon. I was commissioned to compose an incense blend focusing on the “pleasant” aspect. 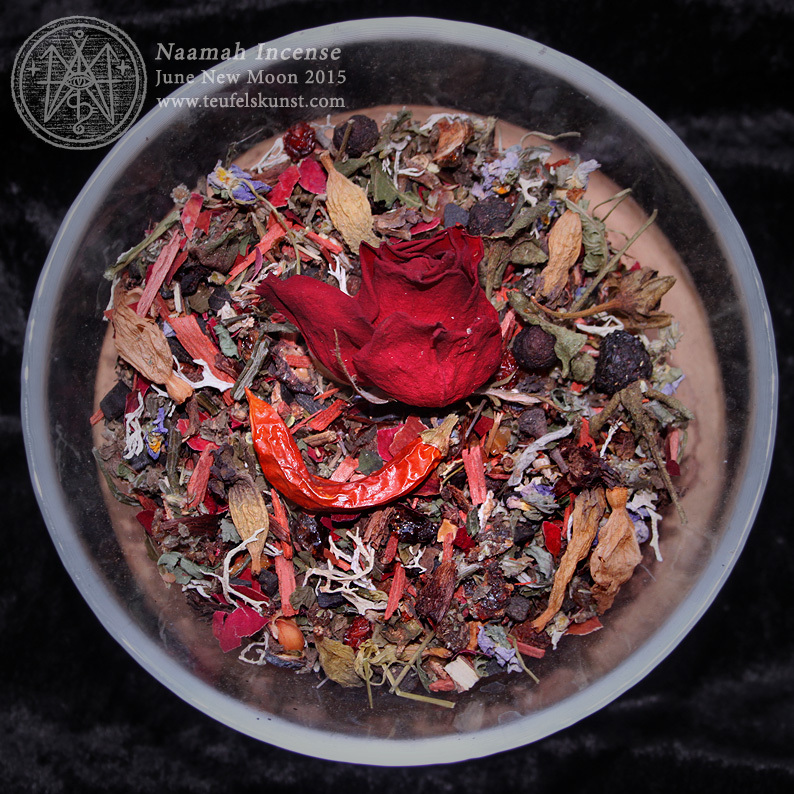 Earthy, warm and musky notes define this blend, which contains various fragrant herbs connected to the darker seasons (autumn and winter) and the element earth as well as other herbs and flowers evocative of Naamah, such as red rose and belladonna. Some of these ingredients are venific in nature (Belladonna, Bittersweet Nightshade), hence this blend is recommended for advanced practitioners. Besides this I had to find a suitable vessel and packaging. Having been recommended Miron glass before, the uv-proof dark-violet glass would be my first choice for the spirits of the night side. The slender 100 ml wideneck jar also has an elegant shape. Besides this I’m also offering the blend in 50 ml jars. Miron glass is more expensive than normal clear or brown glass. Hence the qliphoth incense blends are a bit more expensive than my standard offers. For ordering please write e-mail to info@teufelskunst.com with the wished amount. I will get back to you with the full price including shipping and payment info. I accept payments with PayPal and SEPA bank transfer within the EU.